A great adventurous project. A unique and once-in-a-lifetime motorcycle ride which has given a couple in their thirties the possibility to build a world view accessible to few. The figures of ‘Around Gaia’ are striking, starting from its duration: no less than 4 years, during which all continents have been reached and 59 countries crossed. 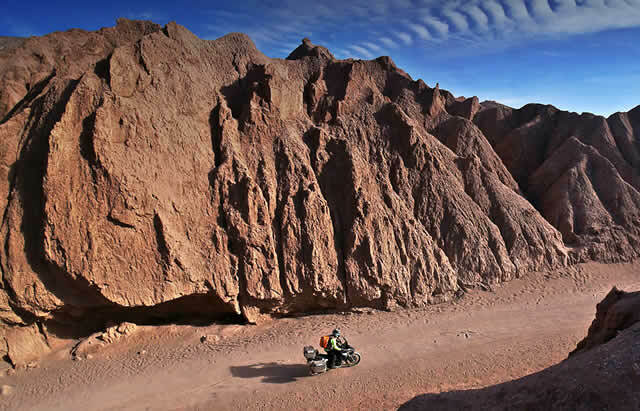 150 thousand km have been covered with full load… all with the same motorcycle, a Yamaha XT660Z Ténéré! 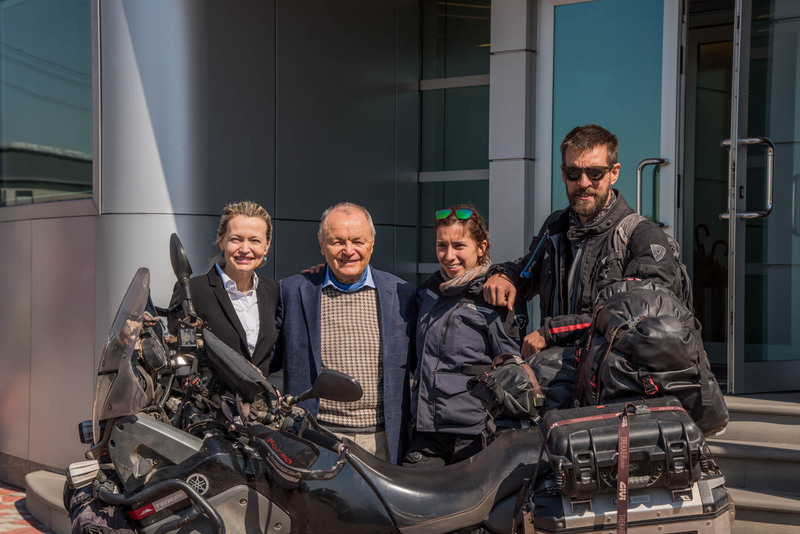 The two protagonists Manu Torres (from Spain) and Ivana Colakovska (from Macedonia), have come back to Europe after facing the last big challenge: Africa from south all the way to north; alongside the home-coming route they have stopped by GIVI on the last 21st of April (they left on the 17th of April 2013) to tell us about “AROUND GAIA” and share with the specialised members of the press, invited for the occasion, just how much GIVI’s support has been precious. 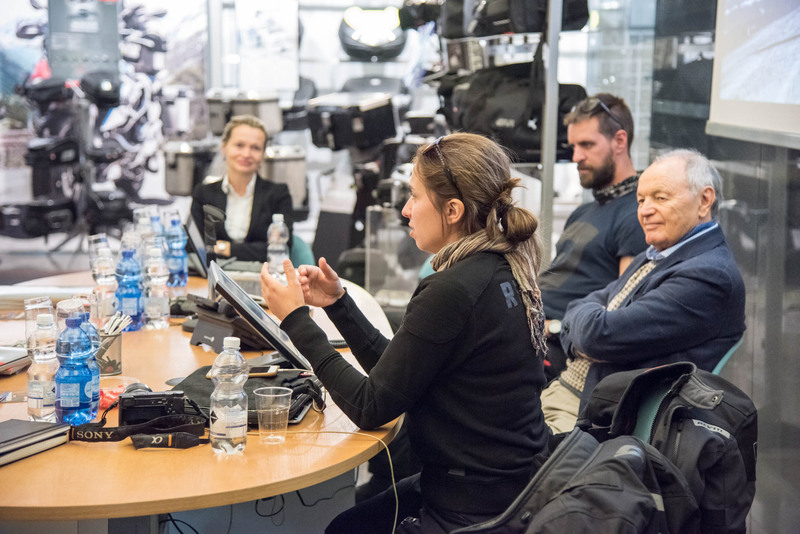 The couple was already known by some of the journalists who attended, but meeting them and being able to closely hear them talk about the highlights of their extraordinary trip has been exciting. To accomplish a round the world motorcycle ride is always an uncommon event. Being able to achieve it through Manu and Ivana’s choices strains credibility! 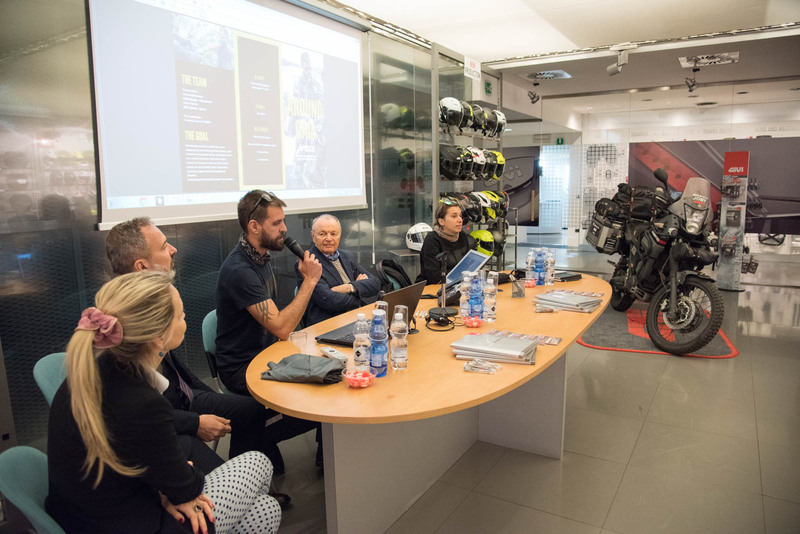 Many have been the odds but nothing put a stop to Ivana and Manu’s longing for adventure, as Andrea Tundo writes on GQItalia.it“They rode on icy street with minus 20 degrees at an altitude of 5.000 metres. Their motorcycle has travelled through Colombia during one of the most critical moments of the Farc guerrilla in Messico, in the Sinaloa state, when the drug-king Chapo Guzman was hiding after having escaped prison”. 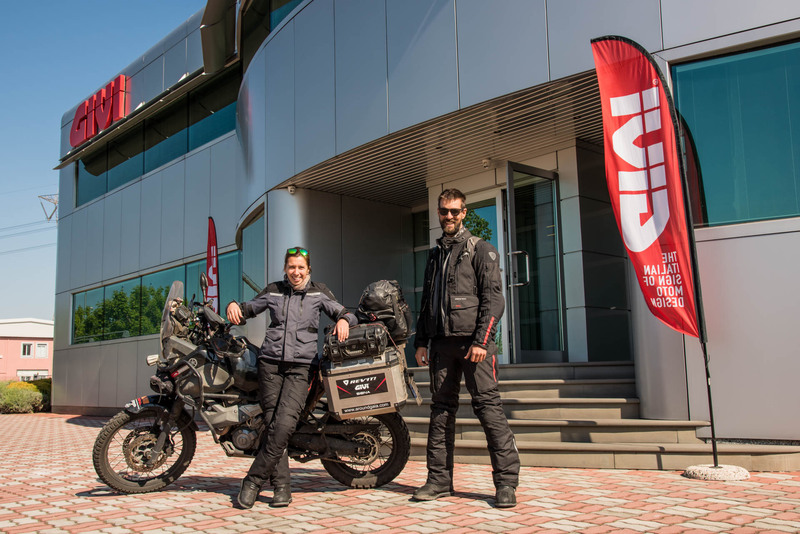 Just a few days after coming back to Europe during this endless adventure, the two riders have landed here at GIVI. 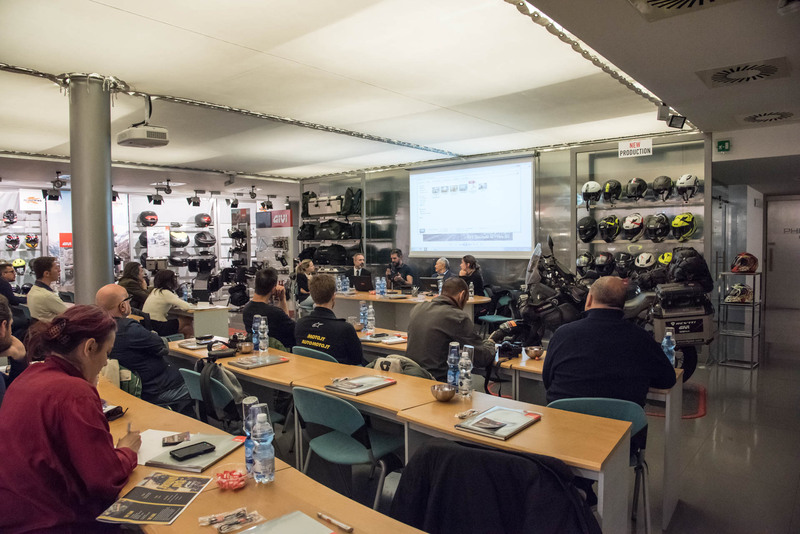 But our first meeting dates back to 2015, when they have been contacted by GIVI USA, that immediately recognized their potential. 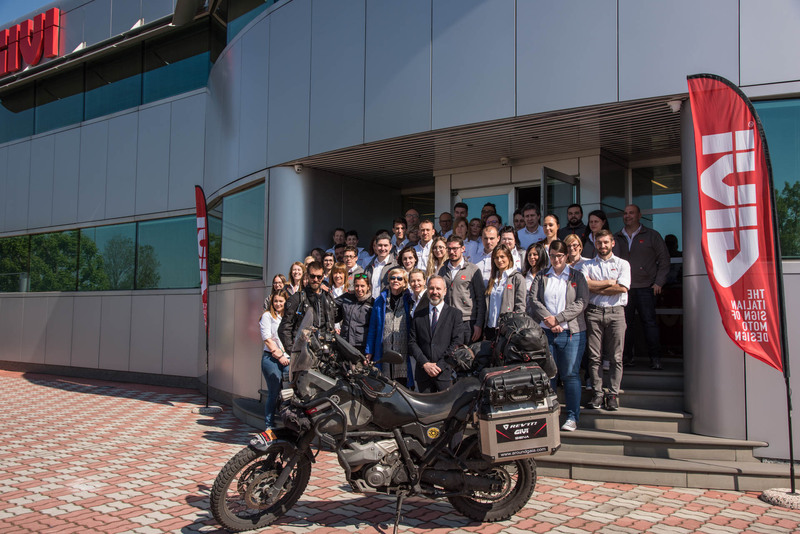 First of all their Yamaha, equipped with GIVI Trekker bags right from the start, was upgraded to the new Trekker Outback pannier, then a few extra were added, like soft waterproof bags, engine guards, additional lights and accessories selected to improve their ride. Manu and Ivana work harder every day to maximize their online and social network presence and in a few months they start to attract tens of thousands of followers. The media pick up their story and start to publish their reportages and images. Right now Ivana and Manu are back to Seville, Spain, where they originally started their adventure 4 years ago. They will rest for a few weeks while putting together a documentary featuring the most significant moments of their experience.